 Nox Borealis is a musical and visual installation based on two sources; the musical source is the work Lichtbogen by Kaija Saariaho, the sound source is recordings made during auroras borealis by the professor Unto K. Laine. A Centre d'art et de technologie d'Espoo CARTES production. A part of "100% Finlande, Printemps finlandais 2008". A concert version of the installation will be performed by the vocal group Les Jeunes solistes, conducted by Rachid Safir, at IRCAM as a part of the Agora festival on June 7.